One week to go, and the new Hobbit movie will have its premiere! To say we're mildly excited about this would be a bit of an understatement! 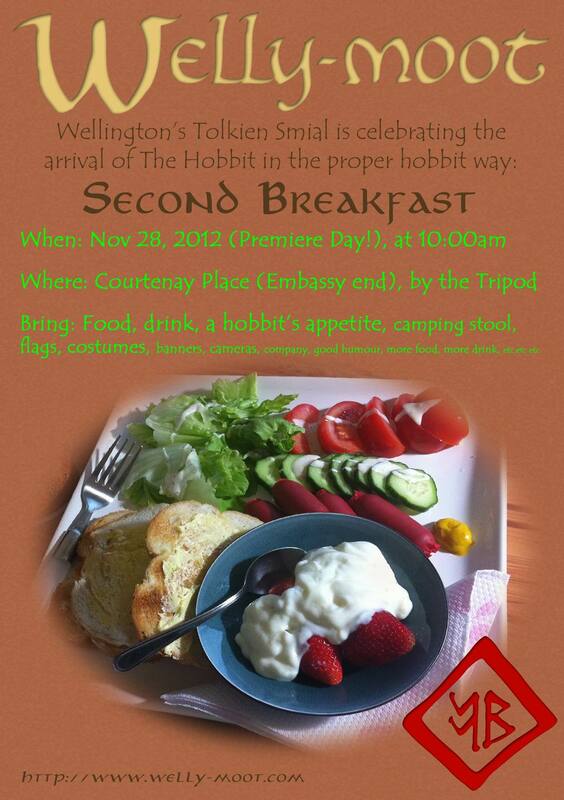 Welly-moot has decided to celebrate the day with a very good hobbit habit - Second Breakfast! 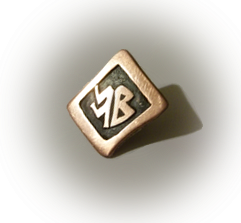 So, on the day of the Premiere (Wednesday, November 28th), if you're a member of Welly-moot - now or in the past - or if you just want to meet up with fellow Hobbit-fans on The Biggest Hobbit Day Ever, then come and join us here in Wellington! In keeping with our usual meetings, the Second Breakfast will be a totally chaotic affair - we start at roughly 10:00am, and finish when all the food is gone. The picnic will be held underneath the Tripod at the Embassy Theatre end of Courtenay Place. Remember to bring your own food and drink - Welly-moot doesn't have any budget (or even a bank account), so we rely on everyone to pull their own weight. Oh, and costumes are encouraged, of course! Click on the banner above to make it bigger, and feel free to pass it along to other interested people. The more the merrier! One final thing - TVNZ will be there on the day with cameras, so let's make it count. See you all there! PS - there will be an announcement about the First Public Screening tickets soon, so please be patient! We have tickets (but it was a difficult road)! First trial T-shirt has arrived for proofing.